Just months after Apple and IBM entered into a partnership with the aim to build enterprise applications for iPads and iPhones and sell iOS devices to the latter's corporate customers, the companies have released the first wave of apps aimed at customers in banking, retail, insurance, financial services, telecommunications, airlines, as well as the government sector. 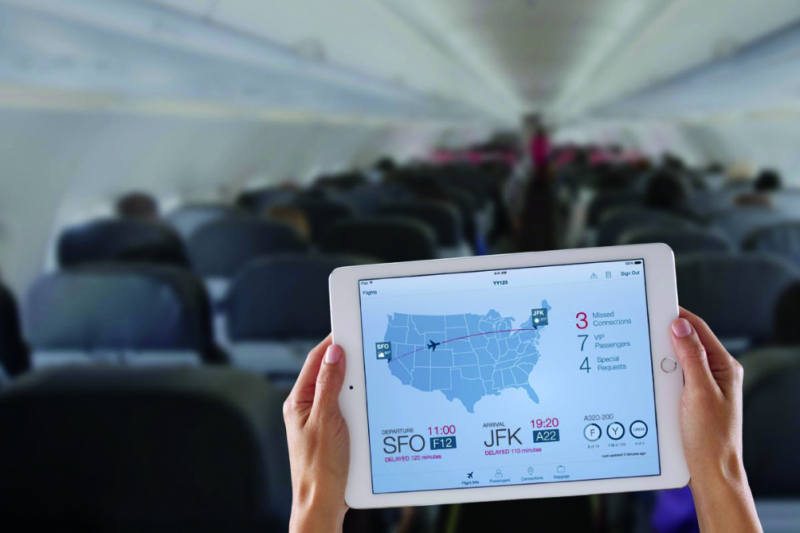 A total of 10 IBM MobileFirst for iOS apps have been released, including Plan Flight, that allows pilots to view flight schedules, flight plans, and crew manifests ahead of time, as well as report issues in-flight to ground crews, and make more informed decisions about discretionary fuel; Passenger+, that enables flight crews to offer personalized services, such as special offers, re-booking, and baggage information, to passengers in-flight; Sales Assist, that allows associates to connect with customer profiles, check inventory, locate items in-store, and ship out-of-store items; and more. Apple says the apps can be customized for any organization and are easily deployed, managed and upgraded via cloud services from IBM for iOS devices, with security across the data, app and device. The first companies to adopt IBM MobileFirst for iOS solutions include Citi, Air Canada, Sprint, and Banorte. "Today, dispatchers and pilots determine how much extra fuel is loaded onto a plane based largely on current factors and their individual judgments," said Jim Tabor, vice president of system operations control at Air Canada, adding that the Plan Flight app will deliver "recommendations based on several variables, including weather conditions, anticipated taxi time and historical data to determine the optimal amount of fuel for each flight."